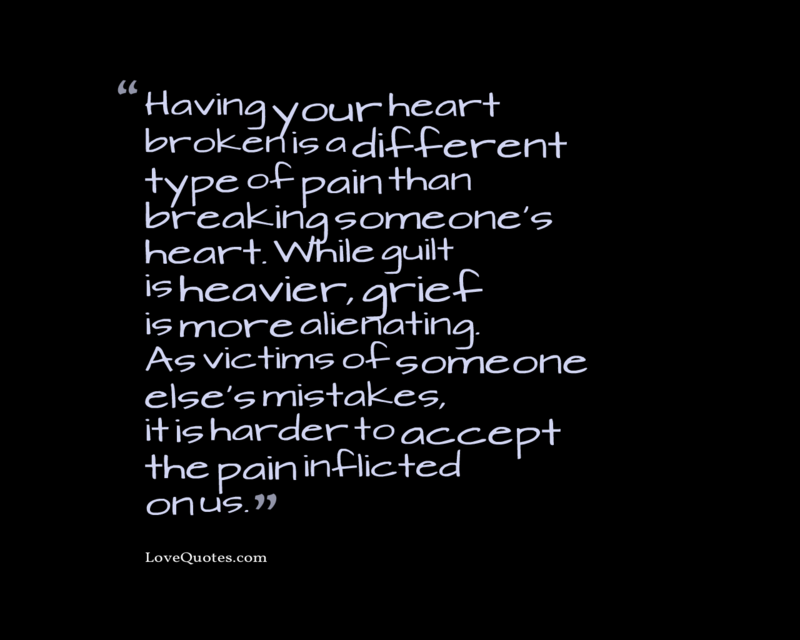 Having your heart broken is a different type of pain than breaking someone’s heart. While guilt is heavier, grief is more alienating. As victims of someone else’s mistakes, it is harder to accept the pain inflicted on us.